For a college our size, we seem to have more than our fair share of spirits lurking about. Depending upon whom you ask, Huntingdon has anywhere from three to five campus ghosts. Most famous is The Red Lady who lives in Pratt Hall. Then there is Frank, the ghost of the Library. Our other spirits are unnamed and where they reside seems to float (pardon the pun) about. 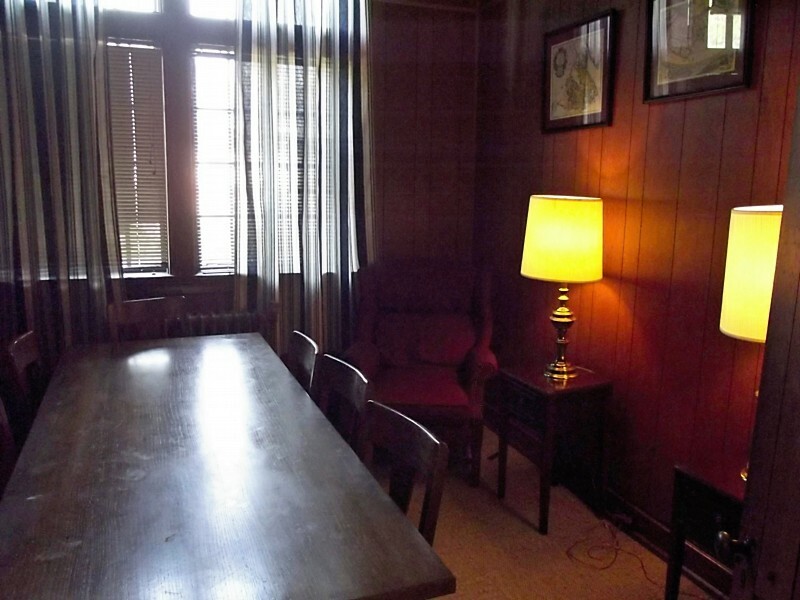 There is the ghost who is said to have moved with the College when it relocated to Montgomery from Tuskegee (and is presumed to live somewhere in Flowers Hall ... some people claim the Chapel). And then there is at least one ghost who enjoys the outdoor spaces of the campus, particularly The Green. Call Number: 133.10976147 S481h 2013 Ala.
Includes a chapter on the ghosts of Huntingdon College. While Huntingdon’s most famous ghost is by far The Red Lady (see the story in 13 Alabama Ghosts and Jeffrey by Kathryn Tucker Windham and Margaret Gillis Figh), Martha (aka The Red Lady) is not the only ghost to call Huntingdon home. 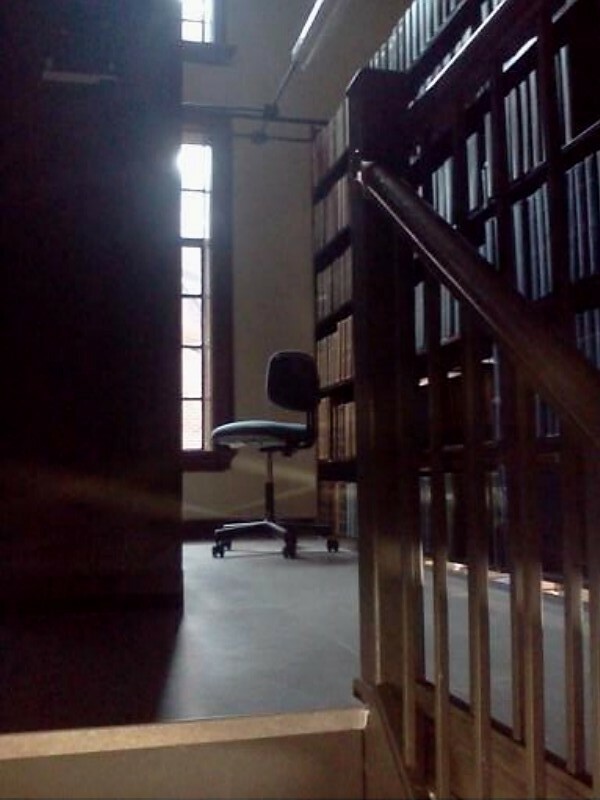 Frank is the ghost of the Library, but unlike Martha, he has no back story. As a matter of fact, Frank didn’t even have a name until a student in the early 1990s decided he needed one and suggested “Frank.” Apparently, Frank didn’t object to his new name, or not enough to make his displeasure known. Over the years there have been “encounters” with Frank: Reports of odd visions on the fourth stack level of the original library building, heavy oak doors mysteriously closing on their own, moans in a decidedly male voice, books sighted on shelves suddenly found opened on a table … just the usual ghostly mischief. Frank is also somewhat productive, as he assists in maintaining the Library’s Facebook page. Regretably, he isn’t much help with reshelving books. That duty still falls to student assistants. 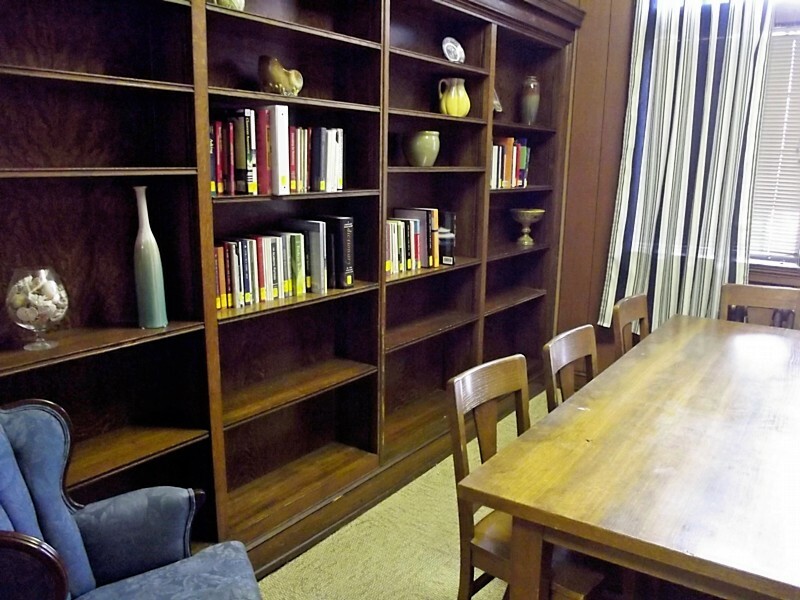 Frank's Study is one of the small reading/study spaces in the Library. It also houses the Faculty Development Collection. Call Number: 398.47 W764t Ala.
Jeffrey is the mischievous "something" that has headquarters in the Windham home in Selma, Alabama. He first made his presence known in October 1966, and since then he has continued, at irregular and infrequent intervals, to clump down the hall, slam doors, rock in a chair, frighten the family cat (now deceased, through no fault of Jeffrey), move heavy pieces of furniture, cause electronic equipment to malfunction, and hide objects. He frequently accompanies Mrs. Windham on her travels, and tales of Jeffrey's antics are widely recounted. The most famous Huntingdon ghost is The Red Lady who resides in Pratt Hall (1912). 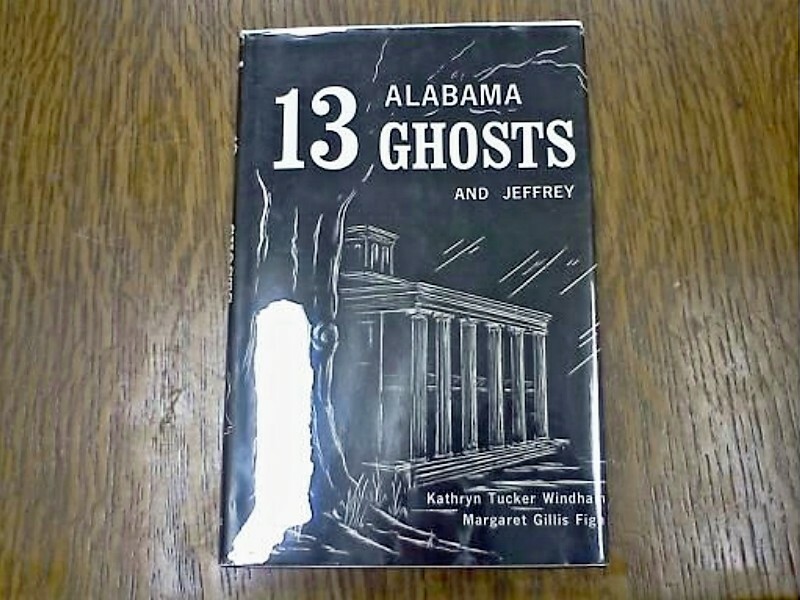 The only written account of The Red Lady story is found in 13 Alabama Ghosts and Jeffrey written by Kathryn Tucker Windham and Margaret Gillis Figh. Kathryn Tucker Windham (1918 - 2011) was a 1939 graduate of Huntingdon College. Margaret Figh (1896 - 1984) who wrote the Red Lady chapter in the book was an English professor at Huntingdon from 1924 - 1971.